Pop - Up Cards - Easily create memorable Valentine's Day Pop-Up Cards for your classroom - Be your best teacher! I know I’m a little behind with this post re: Valentine’s Day BUT… I had to share this amazing activity I enjoyed with my students a few weeks ago. We made historical pop up Valentine’s Day Cards for the classroom! 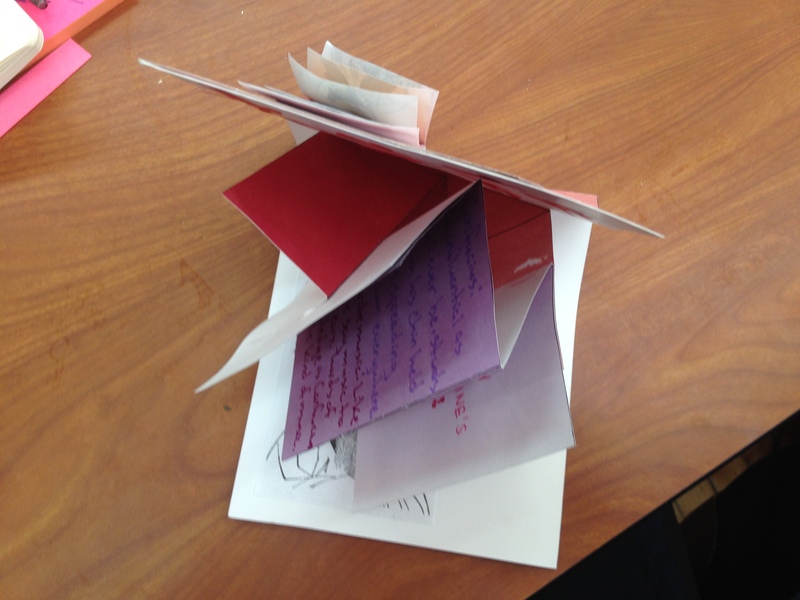 I taught my students a basic way to make a pop up card – Start with a simple card or piece of paper and fold it in half. Then cut parallel lines (in pairs of the same length) into the middle fold as shown in the picture. The cuts should be no more then half the length of the card. Push the flaps forward until your card looks the same as the top half. Then… whatever unit you are working on during Valentine’s Day week have your students create historical pop up Valentine’s. The task is to create a positive valentine or negative (vinegar) valentine for a historical figure and create a love profile. Students should include a picture either drawn or printed and the historical figure should be easily identifiable from the valentine. Hang up in your classroom to spread the love! Example: To: Andrew Carnegie who loves steel, wealth and philanthropy. “You’ve STOLEN my Heart” this Valentine’s Day.